Available As 9 4-Piece Versions In Line Weights # 5-12. Blanks Are Made From A Grand Mix Of Different Carbon Materials, Advanced Cutting Patterns As Well As Reinforcement-Layers. 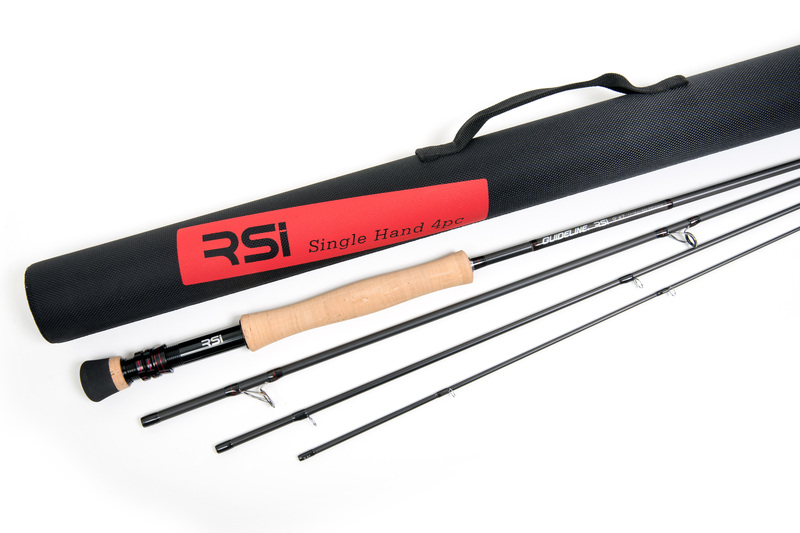 All Individually Adapted To The Specific Rod And Its Intended Use. After A Democratic Voting Process, A Matte, Black, Stealth Finish With Tone In Tone Wrappings, Dark Red Trims And Details On The Reel Seats Was Decided. We Matched It With Extra Hard Anodized, Black Glossy Reel Seats And 5A Custom Designed Full Wells Cork Grips. Looking For A Final Solution To The Problem Of Running Lines Wrapping Around The Stripper Guide When Shooting Line, We Eventually Came To Test Fuji S Brilliant (And Super Cool Looking) Kw Stripper Guides. These Guides Have Proven To Reduce This Problem Down To Almost Zero During Our Testing Phase. We Are Happy To Introduce A New, Aggressive And Very Effective Guide Set On Our Rods. These Stripper Guides Have Been Matched With Hard Chrome Single Leg Guides In The Lighter Line Weights From #5-9 And With Double Leg Hard Chrome, Strong, Yet Light Wired Snake Guides For The Three Heaviest Rod Models Up To 12Wt. Supplied In A Breathable Mesh Bag And A Lightweight Strong Rod Tube With A 1680D Heavy-Duty Cover Fabric. You Will Find That These Rods Are Individually Tailored To Suit Different Target Groups Of Fish Depending On The Line Weight. In The #5-6 Segment You Have Fast, Yet Delicate Rods, Equally Well Suited For Ultra Light Saltwater Work As For Fishing Trophy Size Browns In Streams And Rivers. The 7-9 Weight Rods Are Workhorses For Medium Heavy Species Like Sea Trout, Bonefish Or Permit And Will Be Super Tools For Dedicated Streamer And Pike Junkies As Well. In The 10-12 Range You Ll Find The Rods For Trophy Size And Super Strong Fighters Like Tarpon, Tuna, Gt And Other Similar Flats- And Bluewater-Species.